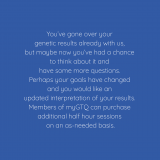 You’ve gone over your genetic results already with us, but maybe now you’ve had a chance think about it and have some more questions. 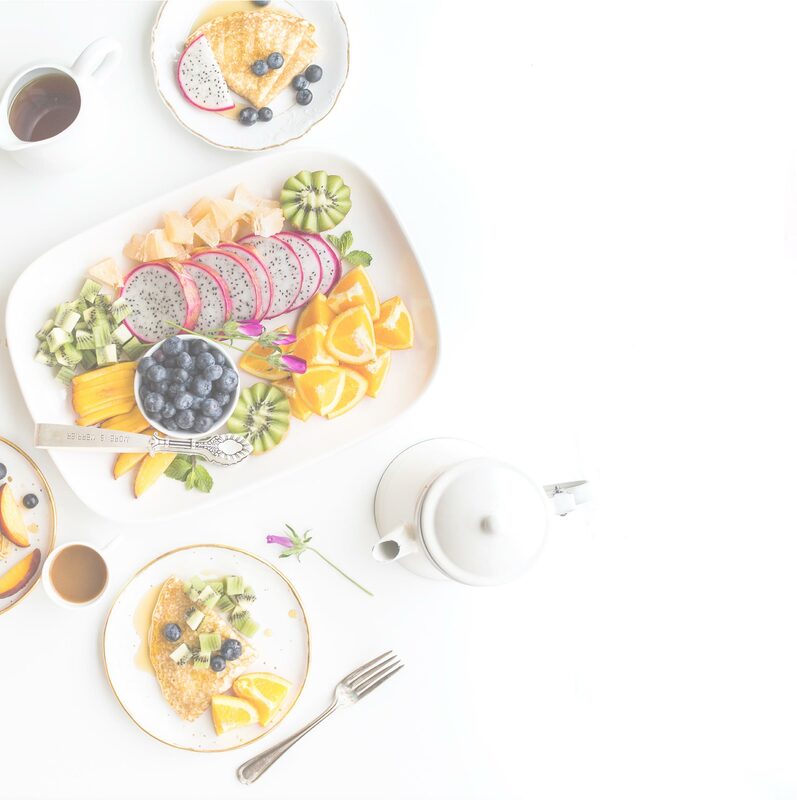 Perhaps your goals have changed and you would like an updated interpretation of your results. 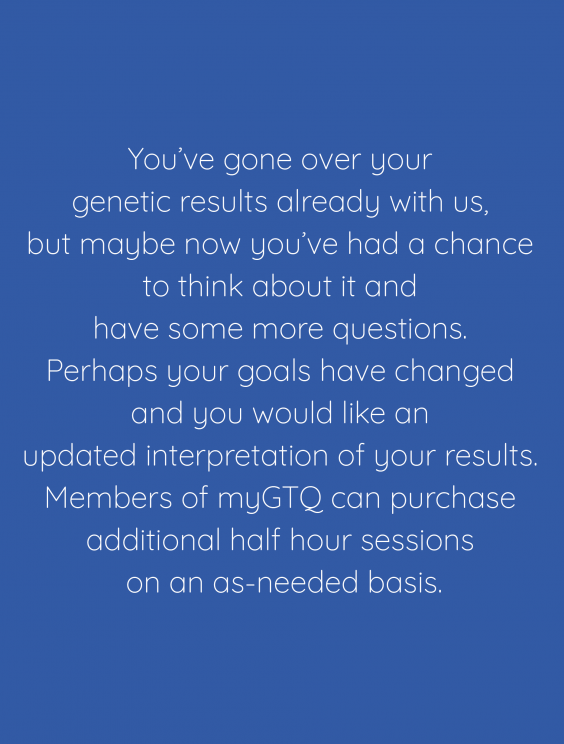 Members of myGTQ can purchase additional half hour sessions on an as-needed basis. 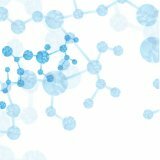 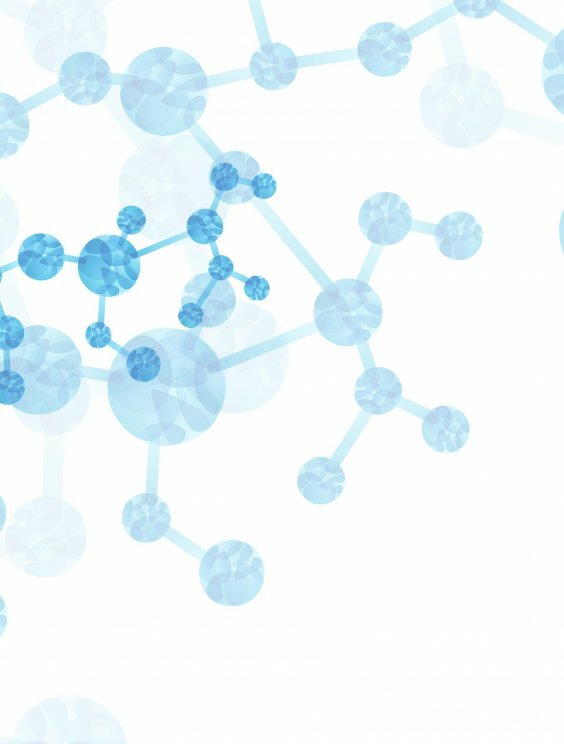 WANT MORE FROM YOUR GENETIC DATA? 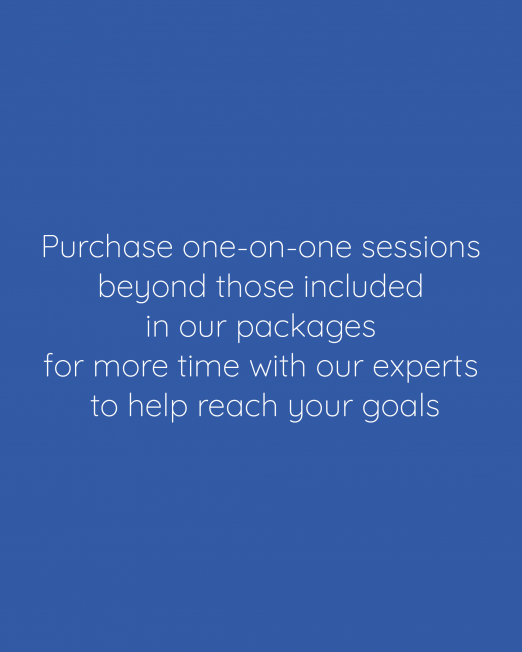 • A thirty-minute one-on-one session with Genotique scientist (add-on to previously purchased service).